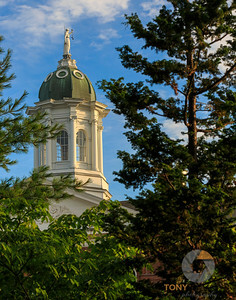 Images in this gallery were capture in or around the historic town of Exeter, NH. 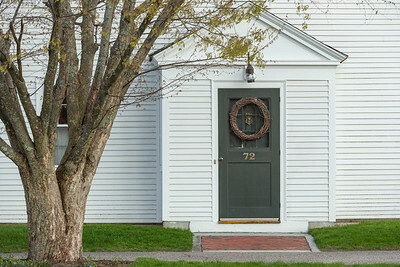 An evening stroll in quaint Exeter, NH brought me to this simple scene, the doorway to one of Exeter's many historic homes. Fun Fact: While under some dispute, many historians believet that the Republican Party was born in Exeter. On October 12, 1853 Amos Tuck, a resident of Exeter convened a meeting of anti-slavery colleaugues. Historians say that it was from that meeting that the rebublican party was born. 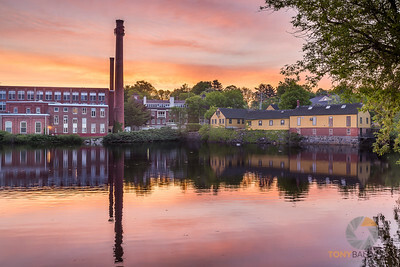 The rising sun lights up the underside of these low hanging clouds to create a purplish/pink haze over the Squamscott River in Exeter. 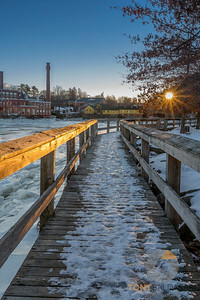 Fun Fact: Up until the early 1900's, this part of the Squamscott River was an active seaport with ship building, barges and trade ships commonly docking along the shore. Silting from the tides along with new bridges build down river made passage by large ships from Great Bay into Exeter along the squamscott increasingly difficult (and finally impossible). Now, this part of the river is only home to small boats, canoes, kayaks, and the crew skulls of Phillips Exeter Academy. 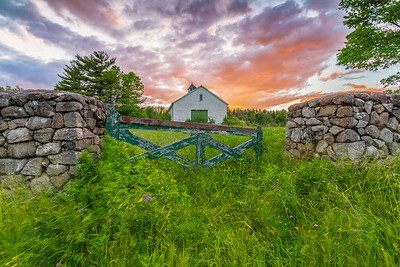 The sun sets behind a barn on Exeter's Fort Rock Farm estate. 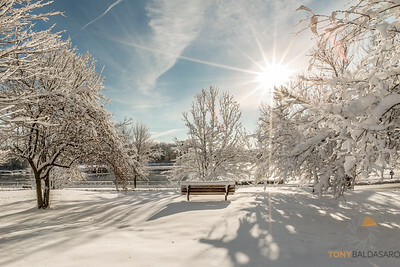 This is a location I have shot several times, although this will be my first to share publicly. The colors of the setting setting provided the backdrop I was looking for and the winds of the evening moved the grasses in the foreground just enough to add a bit of motion. Fun Fact: Fort Rock Farm, which was part of the famed "Swasey" family of Exeter, is named after two large boulders on the western part of the estate. In 1697 those boulders were used as a fort for Native Americans, thus the name "Fort Rock Farm". 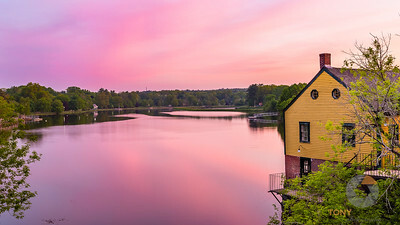 This 8 shot panorama of the Exeter River will be the last of its kind. Just days after this was taken and processed, they began the process of removing the dam that created this pool of water. Today, as they methodically tear down the dam, there sits nothing but a mud puddle. 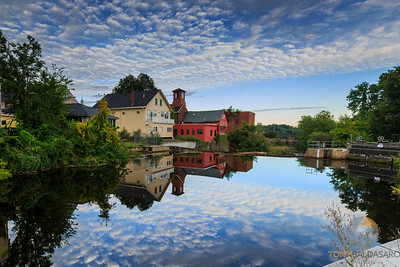 Once complete, the Exeter river will flow freely through the town. 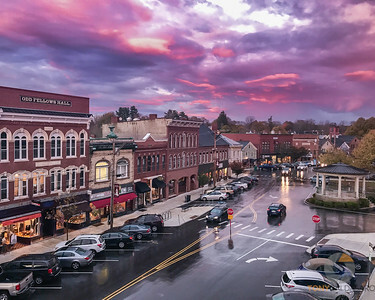 This 14 shot Panorama of Exeter, NH may be the last of its kind ever taken. Shot on June 25, 2016, it was taken from Founder's Park which is right now the staging location of of the construction company removing the dam. Once removed, this body of water will be reduced greatly. The reflections of the colorful buildings will probably no longer exist. 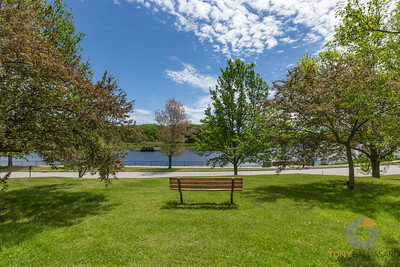 Fun Fact: Founder's Park was commemorated in 1988 to celebrate the 350th anniversary of the founding of the town of Exeter. 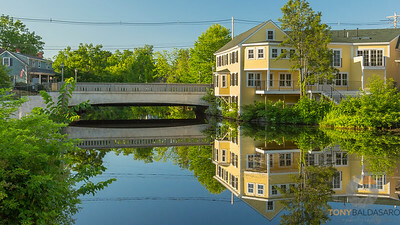 Swasey Parkway in the historic town of Exeter, NH enjoys a beautiful spring day.